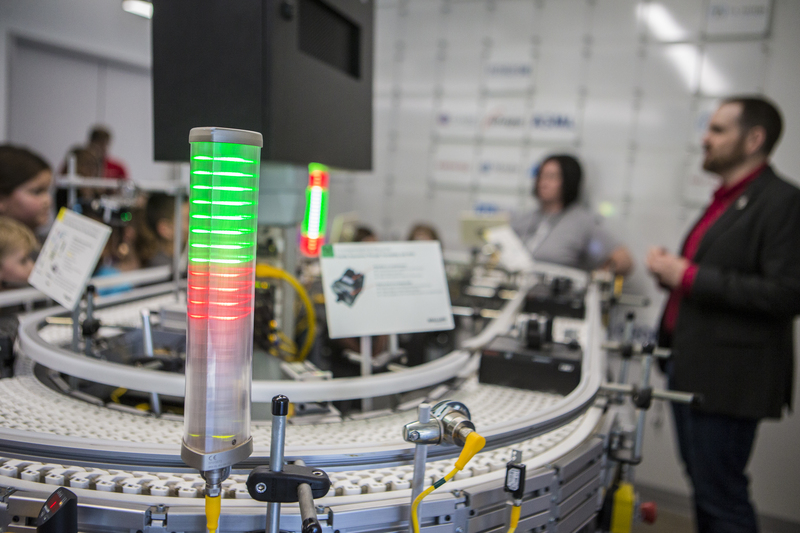 With advanced communication technology, stacklights can provide valuable information to operators and floor managers. It’s a new world for real-time, point-of-use information. 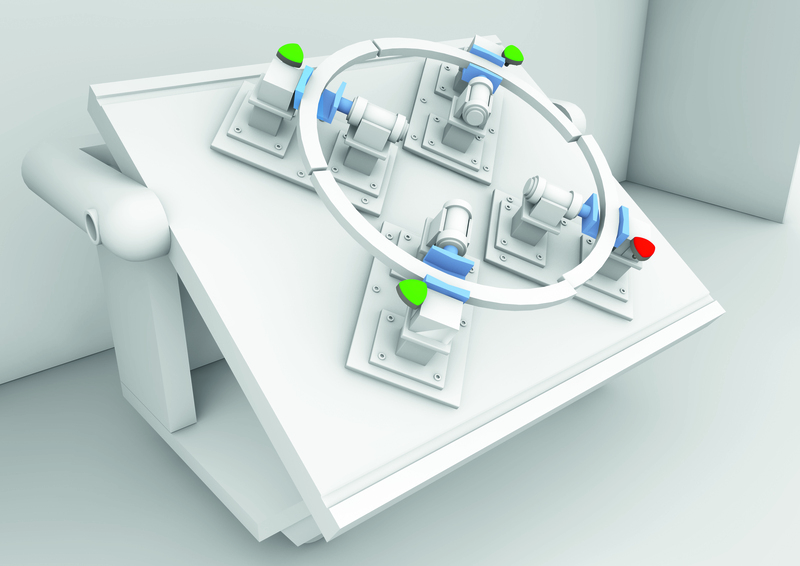 Stacklights and indicators can provide much more feedback to operators and plant floor managers than ever before. 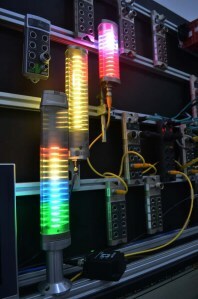 Using colored lights, stacklights can convey a wide range of information. While red, yellow, green and blue are the standard stacklight colors, a variety of other colors can be used to indicate specific conditions and needs. It is important to develop a communication plan to clearly identifies what each color and flashing pattern represents. Color overload can be a problem if not planned out properly. The best planning utilizes a dual color approach where colors are defined by personnel responsible and machine/process status at the point of use. An example would be yellow/blue indication wherein yellow = process slowdown and blue = line supervisor is responsible. This responsibility is clearly on the line supervisor to fix the slowdown at the point of indication. Flashing multiple colors is one method to dual color indication, but that has proven to be confusing. A much more intuitive approach is to segment the indicators based on your communication plan. Even small, point-of-use indicators can be segmented to exceed your goals. We have also seen customers mixing their own colors to achieve a level of differentiation. This differentiation could be simple appearance preference or adherence to their corporate color identity. All very achievable with the new class of smart, LED based stacklights and indicators. By providing continuously variable information, also referred to as analog information, stacklights can be used to indicate current level status in tanks, hoppers, feeders, flow racks and so on. Continuously variable information is also ideal to use in pacing for operators in manual assembly areas. They can quickly see how much time each individual person has for their process step. If someone is struggling, others can visibly see the situation and step in and help. Another popular use is simply displaying that the machine is in idle state, like the spinning icon on computers. This would typically suspend all other forms of indication. Basically, it indicates the machine is not ready. The color indicators can be used as part of a communication plan to indicate the reason for the idle time and call for specific personnel to respond. As soon as the machine is ready, the indicators and stacklights revert to normal operations, just like your computer. Stacklights can additionally provide operational status such as flow rates, pressure values and process speed. To learn more about stacklights and indicators, visit www.balluff.com. It works over virtually any industrial network with an open standard called IO-Link, which I’ve discussed many times in previous posts. What I’m really impressed with is the number of people integrating the level mode as a quick and easy way to give instantaneous feedback to an operator on their performance to a quota or as a count-down timer. 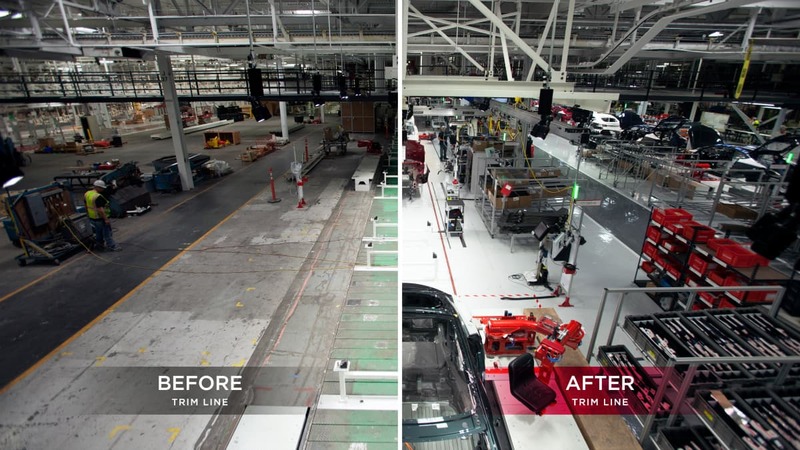 Here you can see in the middle of the right photo a bright green bar light just to the left of the red kanban rack. There are multiple of these lights in this image. This light is a five zone Smart Light operating in level mode. As the cycle time winds down, the light decreases in value until there is no more time, at that point it flashes bright red to notify the operator to cycle to the next vehicle. It keeps the production on track and helps operators know quickly and easily how much time remains. What I’ve been told is nice about this is how bright the light is and that it is easily install-able without a controls cabinet or slice i/o j-box like you can see in the photo. Others like it because it makes the data visual from all over, where HMIs require you to stand right in front of them for information. So if you are trying to think about ways to visualize data in your process or production to operators or managers, there are many others out there already using Smart Light for that application. Check it out. I am seriously excited about the new Smart Light. 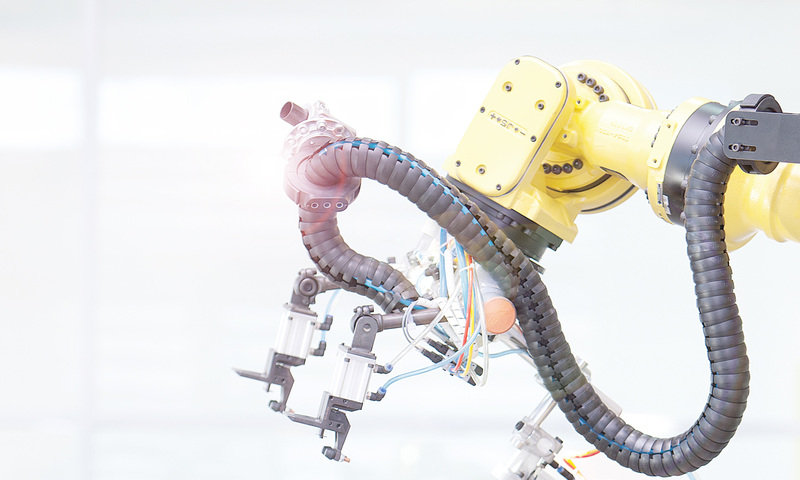 It will revolutionize how we automate and interface with people working in the manufacturing environment. If you didnt watch this video… you need to watch this video. Even if you don’t know what a stack light is, you will want one of these for your discotec to light it up! If you want more information on how this works visit the Smart Light webpage.